Our Dream USA Collection provides the greatest variety of wigs and related hair products for you to select. 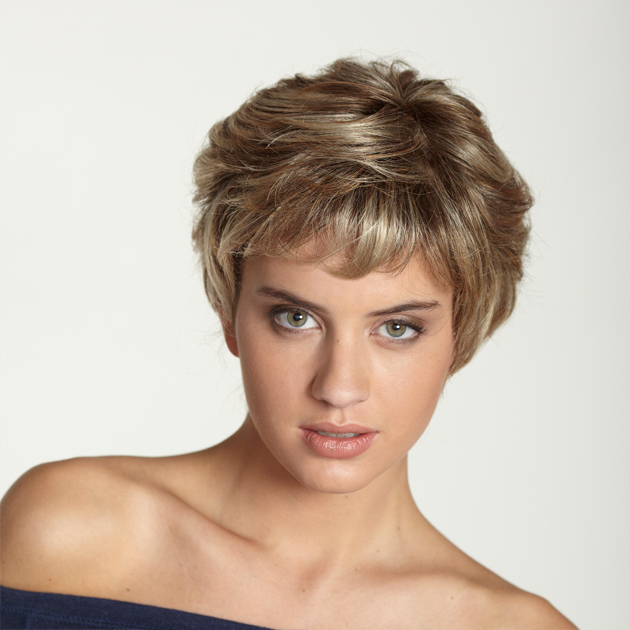 We originally designed this collection of wigs for chemotherapy and alopecia patients. However, more and more people prefer this exceptionally high quality line of synthetic wigs. Since this line has an all monofilament cap construction, it provides the most comfortable fit for clients. Our monofilament top is hand-tied on a see-through mesh which allows the scalp to be seen as it would appear naturally. This natural-looking front doesn't show wefting which may seen on machine-made wigs. No matter what color your skin, these wigs will give the front and tops of the wigs a perfectly natural appearance.